Arguably, the greatest player of our generation. He is now a saviour, after his name 'saved' a kidnapped Argentine in the Northern part of Nigeria. 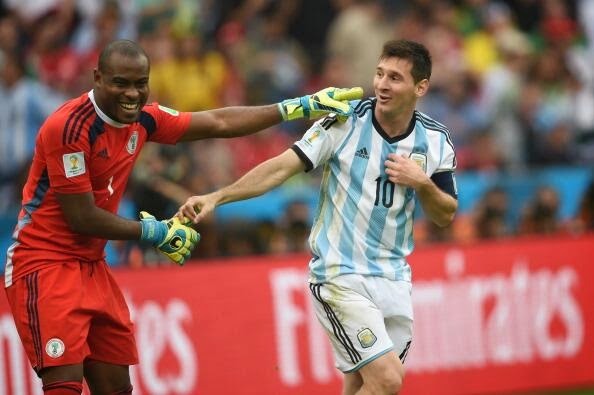 An Argentine man who was kidnapped last week in Kontagora, northern Nigeria, has spoken about how chanting the name of his famous compatriot Lionel Messi helped him during the travail. Santiago Lopez Menendez, 28, an agronomist and staff of Flour Mills of Nigeria, worked on two farms in the Kontagora area but was kidnapped on June 24 by men riding on motorcycles as he traveled on a lonely road in the town of Machagu between Mokwa and Kontagora. As police swung into action to rescue him, the man also found common ground with his abductors who thought he was North American but could not communicate with him in the local Hausa language. The mention of ‘Messi, Messi, Messi’ was able to establish him as an Argentine and it gave his frustrated kidnappers clue before a ransom was finally paid and he was released three days later. "Tell them to thank Messi, his name is what saved me," Menendez told his brother according to Clarin. He is now in the Argentine Embassy in Abuja with his girlfriend Alejandra Perkins and his brother Jorge and will return to his country. During the Nigerian Civil War between 1967-1970, combattants called for a ceasefire when famous Brazilian footballer Pele and his club Santos played an exhibition match in the country.